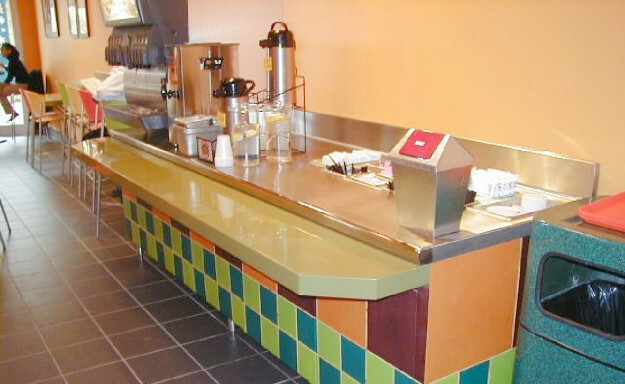 Keeping your restaurant clean and neat is a necessity. 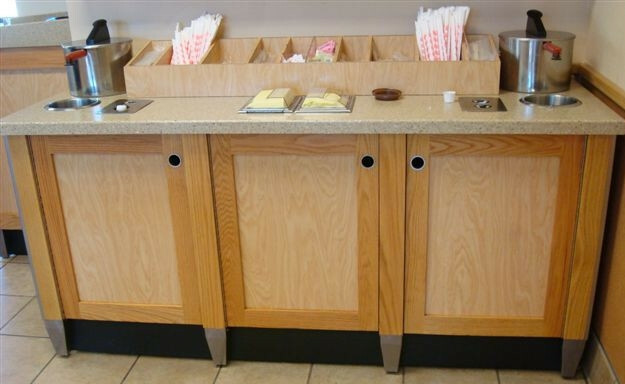 Your guests should have a convenient way to dispose of their garbage while your staff should be able to keep the dining room clean with a minimum amount of effort. 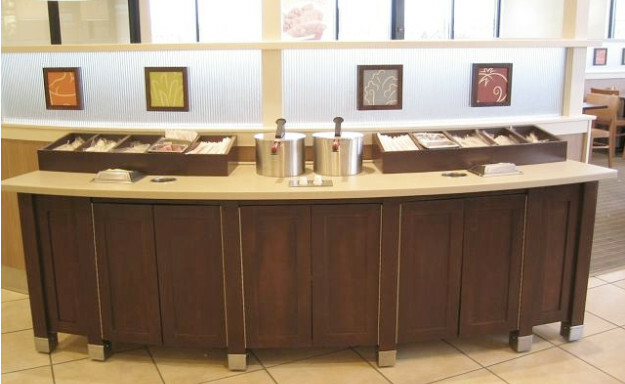 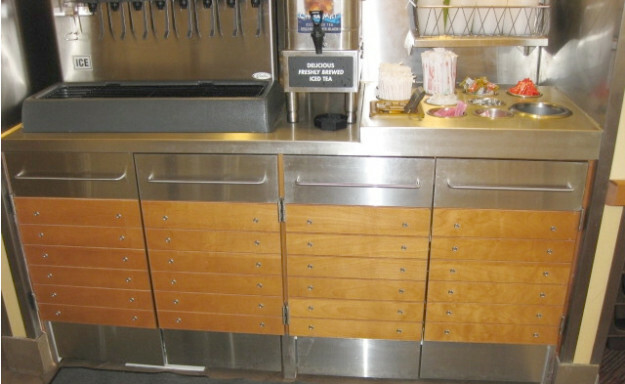 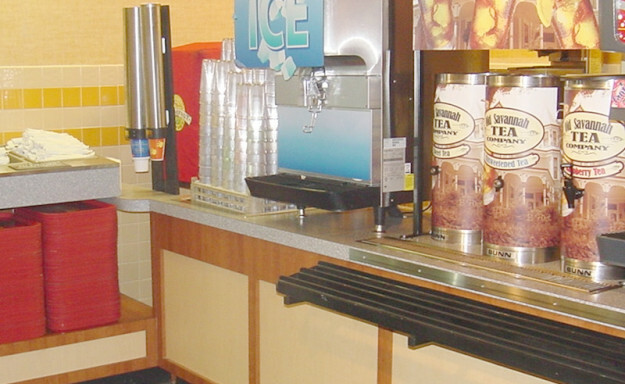 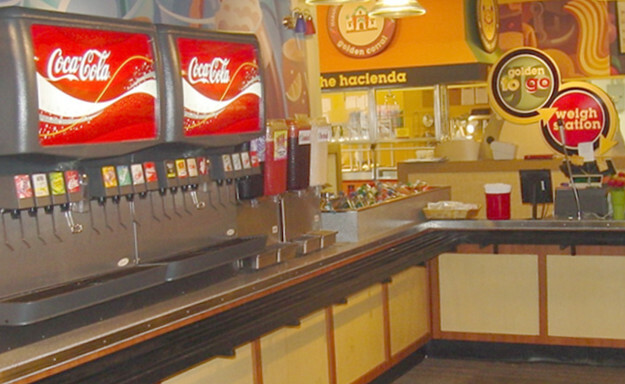 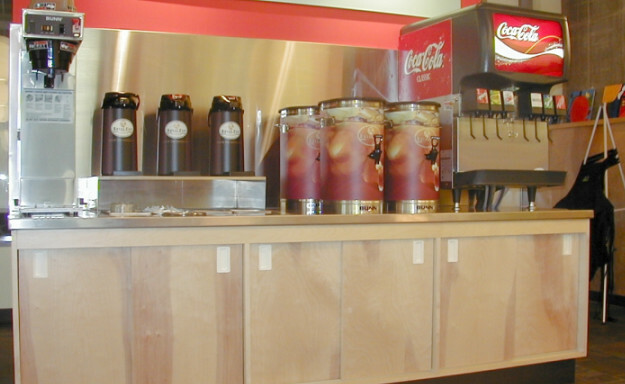 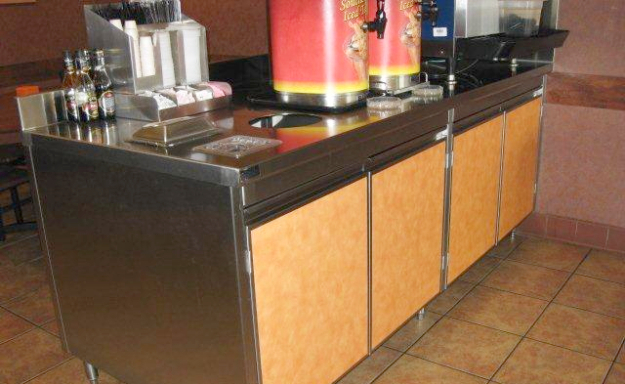 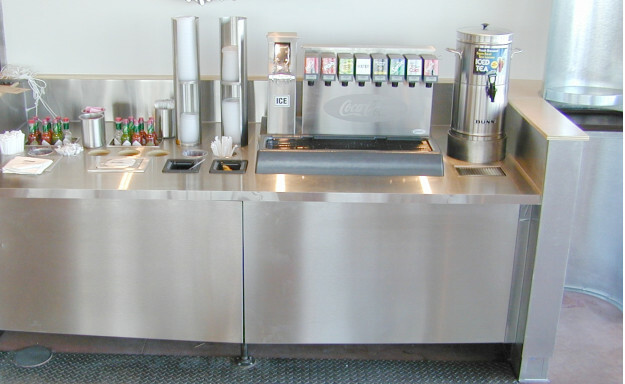 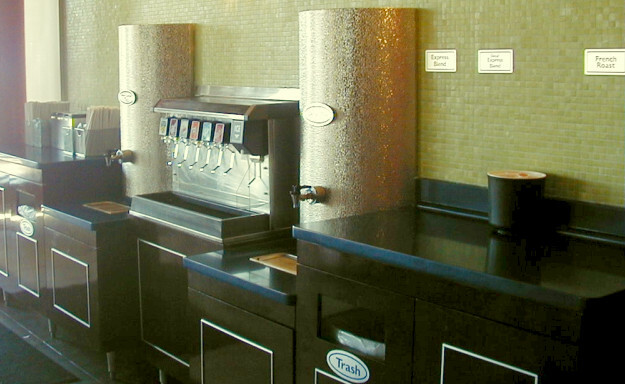 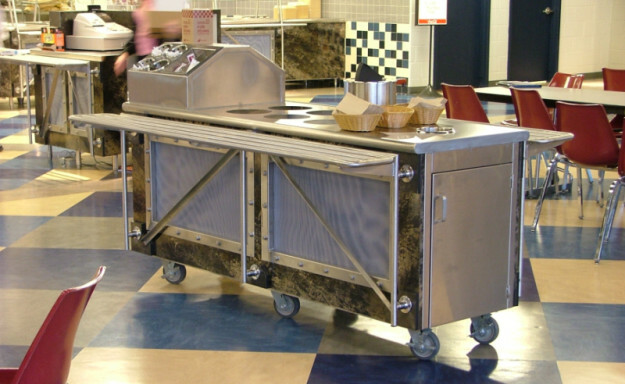 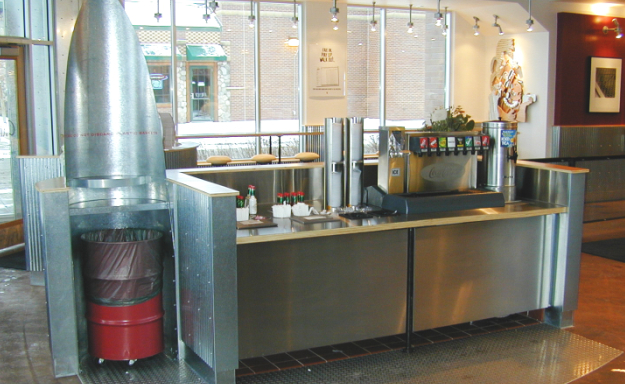 Whether you need stand alone top drop units with an engraved logo or "Thank You" message or a condiment station with integrated trash disposal module; S&G builds commercial fixtures and mobile stations that blend in with the style of your business.